In Florida, we don’t always need a full garage to protect our vehicles. We prefer to keep our cars out of the sun and rain, but since we don’t deal with snow, walls are nice, but not required. 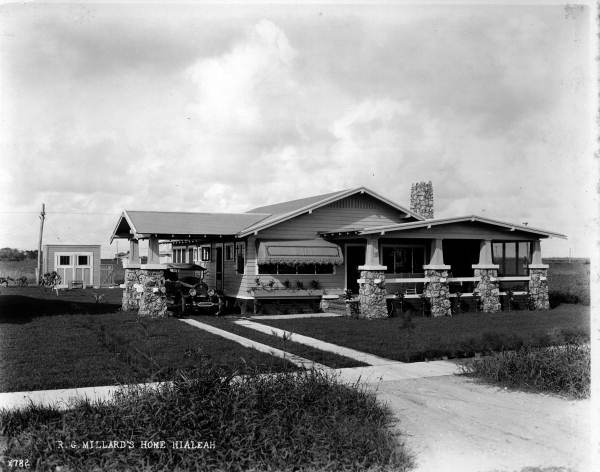 Therefore, many homes built after the 1920s, when cars became commonplace, have integral carports as part of the design in Florida, even when they also have a detached garage. 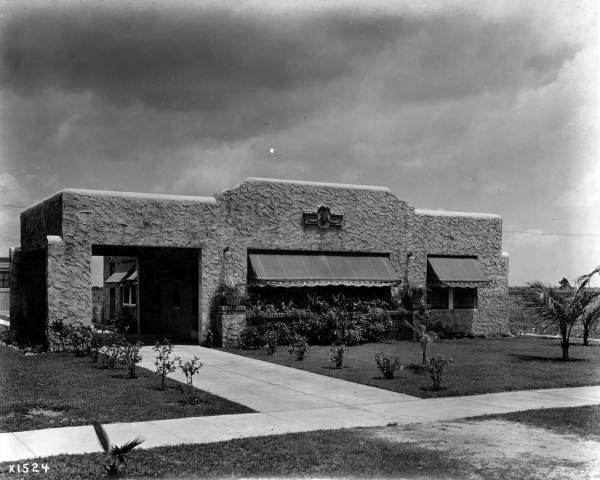 Mission style residence designed with an integral carport built in the 1920s. 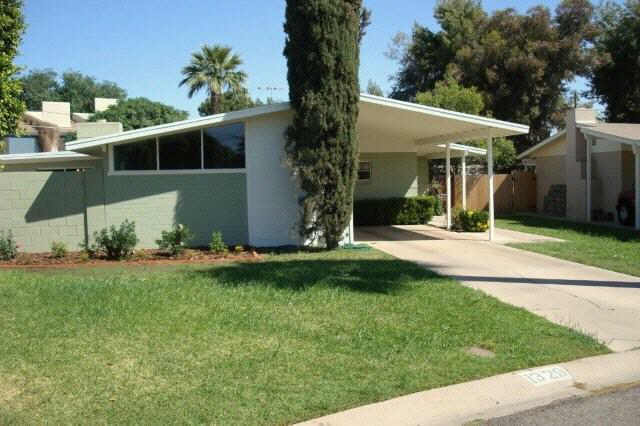 Bungalow with integral carport built in the 1920s with a detached garage to the rear. Historic detached carport for a bungalow. This one has storage built in along the side. 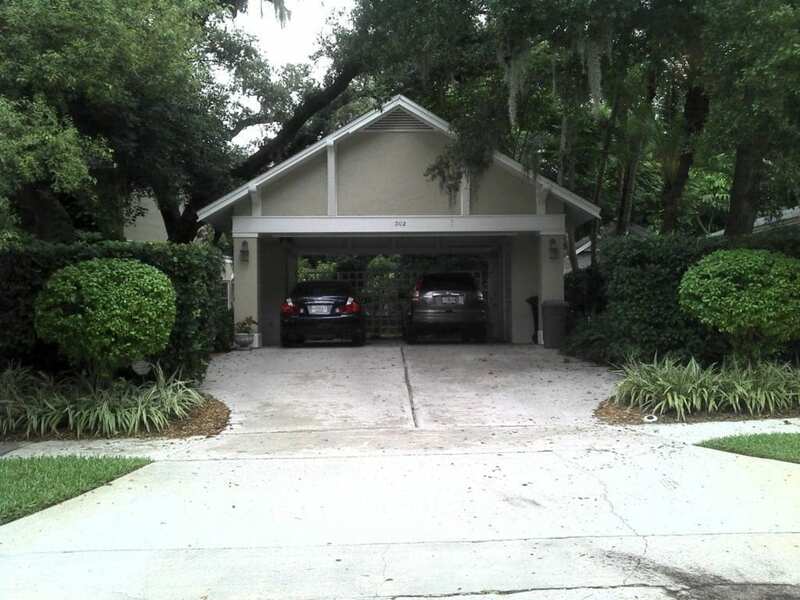 Detached carport at a Tudor style home in Tampa. 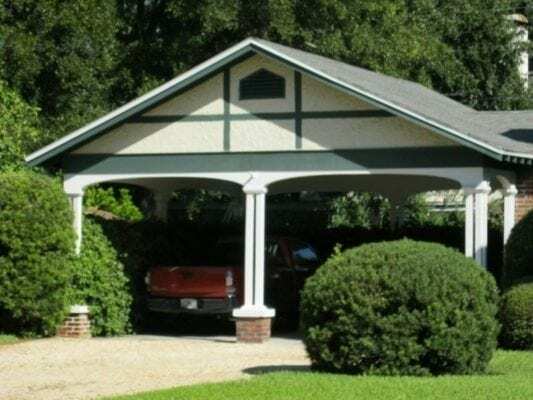 Other Florida homes have a detached carport design that is easy to add to any historic home property. These designs date from the 1880s through today, with elements from Craftsman Bungalows, Colonial Revival, and Mid-Century Modern all used to make unique and useful structures. 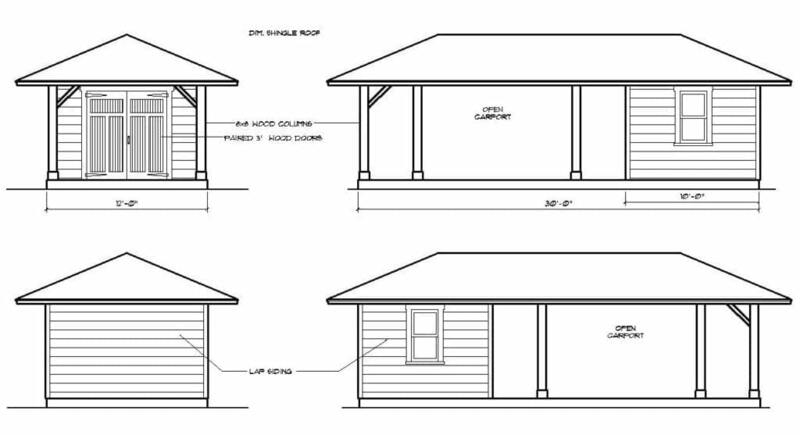 Detached simple gable car port for a bungalow found in Tampa. 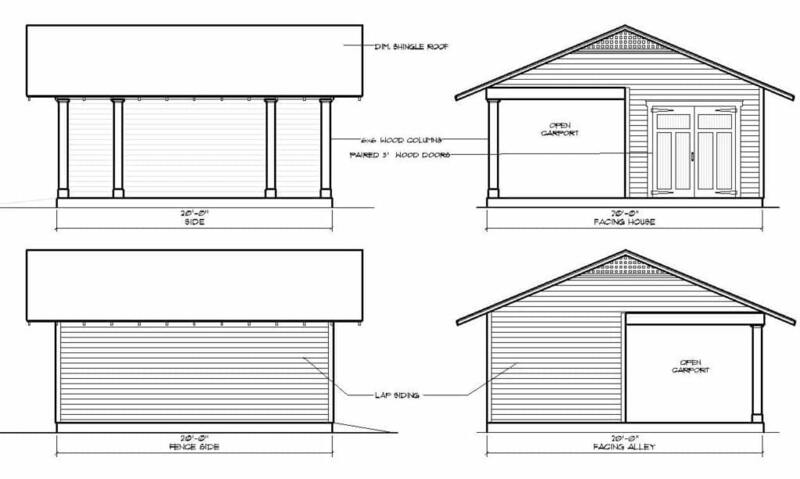 Detached car port with triple columns for a Minimal Traditional home located in Tampa. Historic Shed can custom design a detached car port to complement your historic home to protect your car and enhance your yard. Each design can incorporate details from the main house, using traditional materials and design elements that will look right at home at your historic property. These structures can double as entertainment pavilions as well for special occasions. 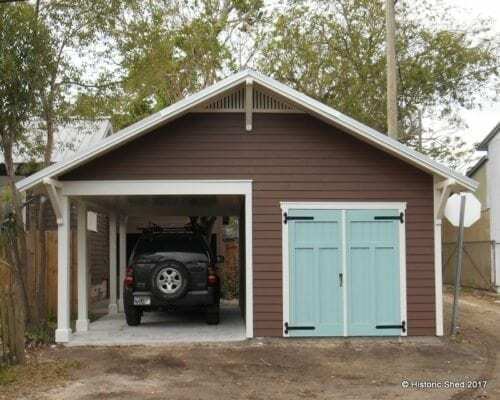 Carport designed and built by Historic Shed in St. Augustine. 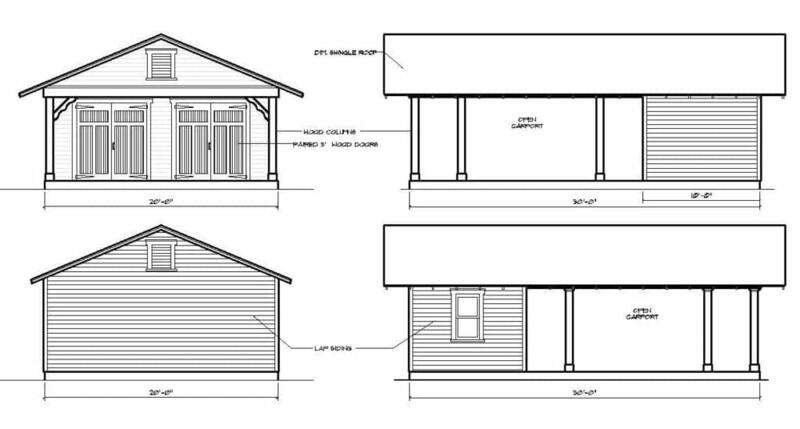 I am looking for plans for a detached carport similar to the 1920’s bungalow you have above. 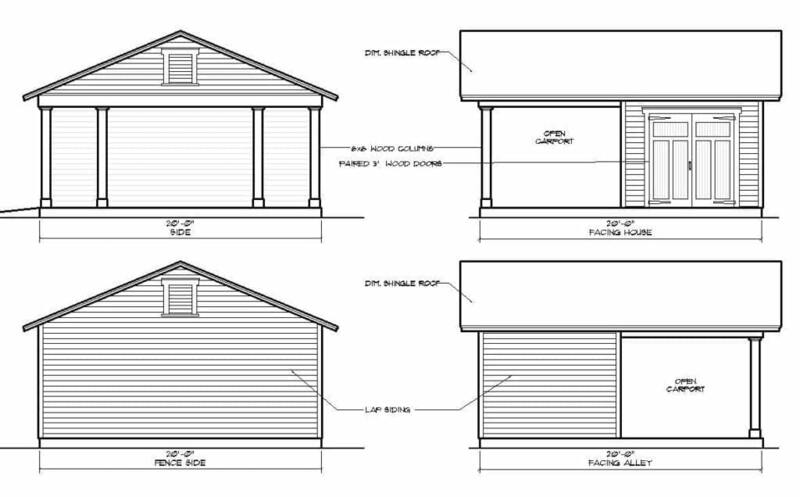 However I want to have a storage area at the back of the carport that runs the entire width of the structure and is about 14′ or so deep. The width of the structure need to accommodate 2 cars comfortably. We have an old home built around 1890 that we need to match in style. Any suggestions would be appreciated.